Building on more than 20 years of broad legal experience, my practice offers affordable, quality service that responds to the challenges you face. I have a strong track record as someone who provides thoughtful, practical, and solution-oriented legal representation. This philosophy drives my virtual-office practice, which is designed to meet your unique needs, and to save you time and money. The David Gray Law Office provides comprehensive professional services in all aspects of family law, as well as in all related areas of law. 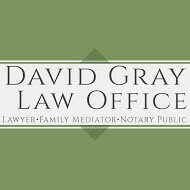 More information is available at http://www.dpgraylaw.com/DavidPGrayOttawaLawyerBio. Contact me to schedule a free 30-minute consultation by telephone or Skype®, and to learn about the flexible pricing options I offer. My office receives client referrals from other law firms and I work with individual and corporate clients, as well as Legal Aid clients. Divorce and family law is a very complex mix of people, emotions, property and technical rules. Not only does that time-consuming complexity increase from year to year but also family mediation can often stall and prove to be very expensive – still leaving you with no resolution. So, anyone using Canada’s Family Courts really does need professional assistance. Without the professional expertise in all aspects of family law that the David Gray Law Office provides, people at their most vulnerable in court proceedings are most likely to make poor decisions with lasting consequences. David Gray keeps his clients’ objectives clear and at the front of action designed to bring an early, dignified and enduring settlement. David takes pride in presenting complex information clearly and in exceeding each client’s service quality expectations. He will listen to you carefully in order to arrive at your best, most cost-efficient options and help you to achieve your objectives. At very competitive hourly rates and with many years’ experience, David provides tailored, comprehensive professional advice to clients who face a bewildering amount of legal information, intricate court procedures and major life decisions. 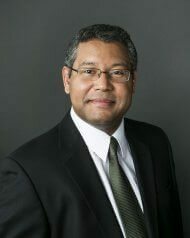 For anyone who has divorce and separation matters in the Canadian courts, David Gray uses excellence in legal practice to serve his clients both inside and outside of Canada. He provides personal solutions with affordable quality.